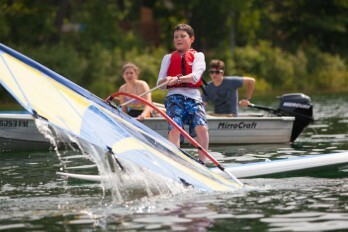 Each and every summer, it is our staff that make summer as special as possible for our campers. Many of the staff that we hire grew up at Camp Interlaken while others found us as adults. Our staff is made up of college students, educators, parents nurses, and people who have a great work ethic and just want to have a fabulous summer while making a difference in the lives of those they touch. They travel from all over North America and the world to spend their summers in Wisconsin. Even with all of their different life experiences, interests, religions and nationalities, they all have one thing in common: a commitment to working with kids and teens in a camp setting. We are looking for staff who are sincerely dedicated to creating the best summer possible for a fantastic group of children. The best staff are compassionate, enthusiastic, good listeners, patient, nurturing and trustworthy. We look for staff that are team players with leadership skills, easy-going and know how to have fun. 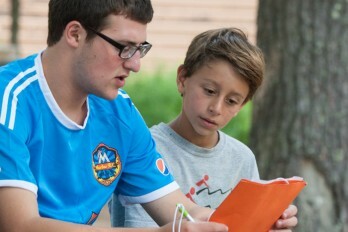 Working at Camp Interlaken JCC is more than just earning a paycheck. You will make lifelong friendships, create outstanding memories and build valuable life skills. Many former staff come back to tell us that working at Interlaken was an experience that truly changed their lives.